With a concern to serve to the specified industry users with our flawless offerings, we, Momai Machine Tools were founded in the year 2007, initiating supplier, distributor, manufacturer, exporter, wholesaler & trader of Forming & Power Press Machine. 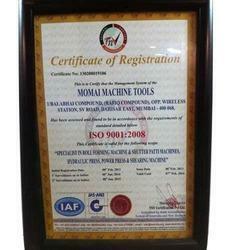 We are an ISO 9001:2008 Certified company. 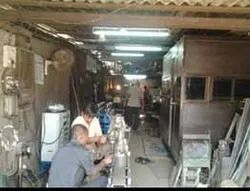 These machines are fabricated as per the approved industry standards and are offered with the assurance of providing impeccable performance. For our esteemed clients, we have assorted Roll Forming machines Sections, False Ceilings Machines & Sections and Din Rail Channel Machines, under the gamut of our offerings. We exports our products to Dubai, Saudi Arabia, Ethiopia, UK & Kenya. 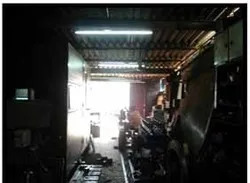 It has been possible for us to bring forth this impeccable range of machinery, backed by our vast infrastructure and team of experienced professionals. We have developed our infrastructure over a vast area and equipped it with advanced machinery. Our professionals are employed after subjecting them to stringent selection procedures to determine their knowledge of the specified domain. Our outcomes are offered with the assurance of qualitative performance, offering our customers assured capital value and increased productivity. From our end, ethical business practices have always kept in consideration leading to flawless client dealings. Working strategies based on adapting advanced technologies and client-centric policies, have strengthened our market position. We have become a name known across the nation, as well as on global panorama, owing credit to our positive working attributes. We have been able to carve our footprints across the globe, owing credit to the exceptional ideas of our mentor Mr. Mohan Kawa. He along with his skilled ideas and leadership qualities, has been able to establish coordination & harmony at our work place. With the immense support of our team members and quality-centric working methodologies, our organization has grown exponentially. "Our organization believes in creating wealth by socially and ecologically appropriate means. Honesty and transparency are considered very valuable." 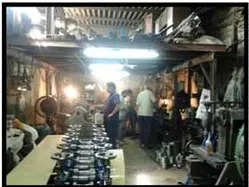 At our end, we have employed personnel having vast knowledge and committed approach, which play a catalyzing role in the fabrication of flawless range of machinery. These professionals are hired, performing stringent procedures, based on their earlier working experience and zeal to strive for gaining excellence in the completion of tasks, assigned to them. We have created several divisions at our team level, in order to perform our tasks in a coordinated manner. There are number of different types of solar panel, from an ever increasing range of manufacturers. Each claims that they are best for one reason or another, with different sales people all giving different information. We are not tied to any particular manufacturer and do not hold stocks of solar panels, so that we are flexible enough to be able to recommend whichever solar panel we think is best for your project and can just order and fit the type of panel you prefer. This means that we are able to give completely independent advice about our views on different panels and, hopefully, help you distinguish the sales blarney from the real facts. With our client-centric approach, we are offering products as per the global standards. Machines that we fabricate are designed by using innovative technology and the visionary ideas of our personnel. These qualitative principles have made us a name known across the globe. We always make sure that the products delivered to our valued customers are flawless. These positive attributes have enabled our product range to be cherished widely among our clientele.